Like Mummy B, I had so many ideas for this week’s theme in the #MummyBPhotographyChallenge. The theme was “lifestyle”. All sorts of ideas came to mind but I didn’t have enough time to have a go at any of them, as my online conference The Confident Mother has been in full swing, and quite honestly, at the end of three weeks of hard work, I was flat out of creative energy! 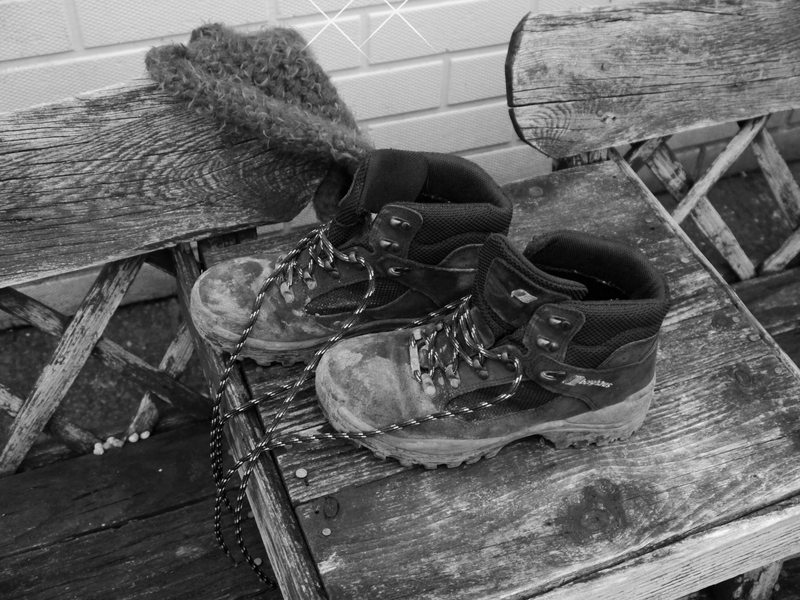 In the end, I took my muddy walking boots, plonked them on the garden bench and here’s what you get. See more photos on the theme of lifestyle at Mummy B’s blog here. Love this shot! If this is just you grabbing and taking I would love to see your creative shots! Thanks for your comment, much appreciated. I love photography and feel there’s so much still to learn!